Day four of the Great Holiday Give is here and we have two delightful reprints up for grabs, donated by the incomparable New York Review Children's Collection. Seriously, you could just buy off their list and be done with the holidays. But I digress! So, who didn't love Pat the Bunny as a child? Well, it seems that the author Dorothy Kunhardt did a slew of other books including the two we are going to give away here! 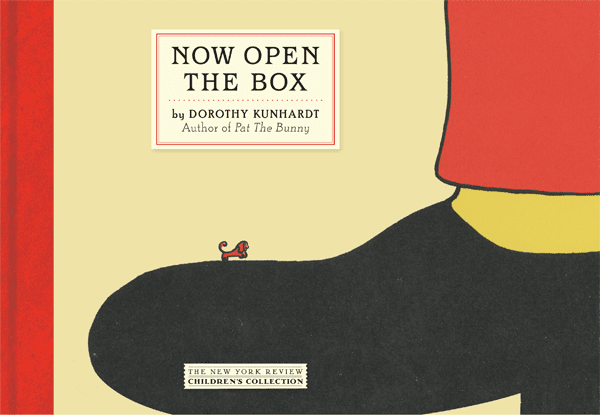 Now Open the Box, (later re-illustrated by P.J. Miller and published as Little Peewee) and Junket is Nice, packaged up in the red-spined, signature look that makes NYRCC so classy and glam! To win your very own brand spanking new copies of these two superfab books, simply comment on this post before midnight CT on Sunday, November 24. A winner for this give (and the other four daily gives) will be selected at random and the winners will be announced Monday the 25th. I didn't know these books existed -- and I think my grandson needs them! God they look good! Excitimg stuff. A very interesting title. We'd love to give it a try at bedtime. More I've never heard of. Fun! These books look fantastic! The children in my preschool would love them as well! My husband and I were just putting away my girls' battered but still functional copy of Pat the Bunny a couple days ago, and I was telling him that the author also did some Little Golden Books (same publisher, of course). These, however, I did not know about! We'd love to add two titles from the NYR Children's Collection to our bookshelves. Oooh, I'd love to win this one! My kids and I enjoy vintage books. They have a different vibe than modern books! "Pat the Bunny" is one of my favorites for 3 children and 8 grandchildren. That cover for "Now Open the Box" is so awesome! I love JP Miller's "Little Peewee," but I didn't know it was based on something else. Okay, I have loved all the other books I've commented on, but I'm really, really, really hoping I win these. They look amazing! Never heard of these books but love NYT's children's books! An awesome duo, for sure. In fact all these are really perfect!! 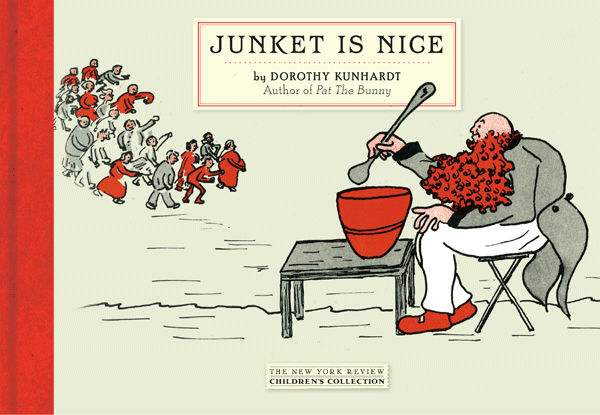 Just discovered the Jenny & the Cat Club books by NY Review CC. My girls LOVE them. These look just as amazing! New York Review Children's Collection has great titles. I don't know why I didn't think to look up what else Kunhardt wrote. These look fun! What great books! I do love the NYR's reprint collection. The grands would love these. I love New York Review Children's collection so much. I love the NY Review series--they are wonderful. Our favorites are their beautiful Pinocchio, Jenny and the Cat Club, Miss Masham's Repose, The Peterkin Papers, and Uncle. Marvellous! We love the NY Review series! Thank you for including them. We love especially The Peterkin Papers, the Jenny and the Cat Club series, Miss Masham's Repose, and their beautiful Pinocchio! More fantastic books! Thanks again. These look fantastic. Count me in. I'd love to read them, they look fantastic. Thanks! Wonderful books! These look amazing! I have been slowly buying the NY Review books but these are two I don't have! Love the books published by them, I but at least one every year. I don't see my first comment, so sending a 2nd one in case there was a glitch. Please toss my name into the hat, and thank you very much! Wow, these just keep getting better! Thanks! I love to add such types of books in the reading list of my children's diary. I thank you for providing such a good opportunity to have some good children book collections. I like to request readers to just visit my site for 2 exciting books written by me as well.